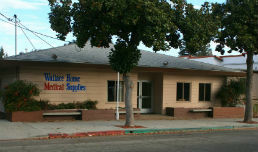 Homecare beds are designed to provide a loved one with top-quality care in the safety and comfort of their own home. 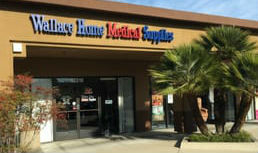 Rest assured, Wallace Home Medical Supplies will help you find the perfect home-care bed to fit all of your needs. Come in and experience the the difference at Wallace! The Invacare Semi-Electric Bed combines effortless positioning of the upper body and knees with the economy of manual bed height adjustment. The pendant control provides motorized positioning of the upper body and/or knees. A manual crank located at the foot end of the bed adjusts bed frame height for caregiver assistance. 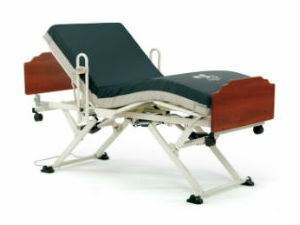 The Invacare Semi-Electric bed frame is U.S. made and features riveted connection joints to provide years of maintenance-free service and reinforced steel at critical points to increase the lifespan and durability of the bed. 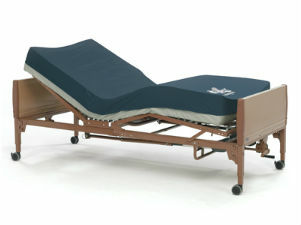 This Invacare Full-Electric Bed offers the greatest convenience. 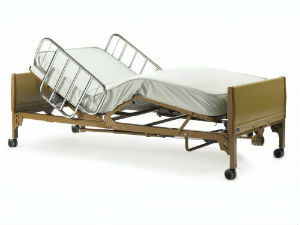 Invacare introduced the next generation home care bed with a number of innovations. The easy-to-use hand control provides motorized positioning of the upper body and knees, and also adjusts bed frame height for efficient use of accessories and for safe and easy transfer. These new features are designed for home use. 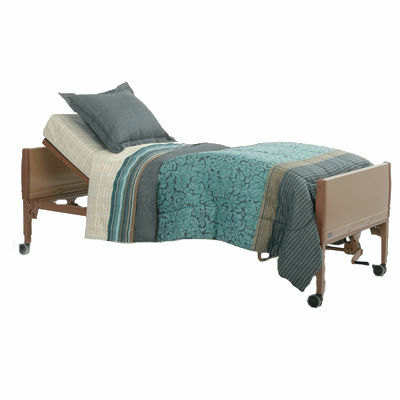 This is a great bed for home or assisted living facilities. The Invacare Full Electric Bed is ideal for those who are looking for adjustable head, foot and height at a reasonable price. 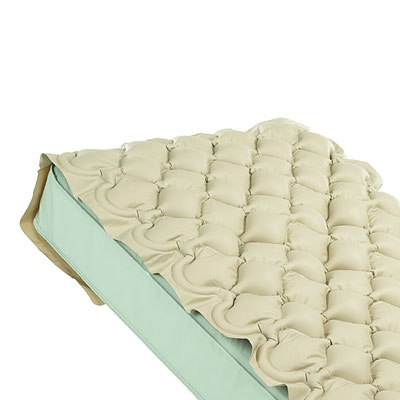 Multiple mattress options to ensure the comfort and skin protection of your loved one. Invacare Manual Home Care Beds deliver long-term savings over the lifecycle of the bed. The beds are durable and washable, reducing repair and cleaning costs, while their interchangeability reduces inventory. All of the home care bed features have been designed to make the bed easier to deliver, set up, clean and maintain. Invacare’s Home Care Manual Bed provides convenience, comfort and affordability. There is manual hand crank adjustment of the upper and lower body and bed-height. 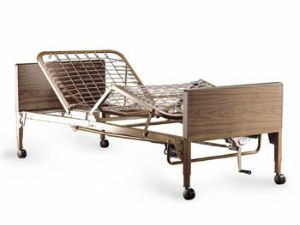 The innovative Invacare Hospital Bed has already become the industry standard for long-term care hospital beds. The simultaneous movement also helps prevent painful skin shearing that might otherwise occur during repositioning. The CS3 Hospital Bed also features a Slat Deck which is an upgrade from the Grid Deck that most of the entry level frames have and provides better support and airflow for the mattress. The Invacare CS3 is the ideal bed with it’s stability, easy controls and smooth raising and lowering of the head, feet and overall height of the bed. 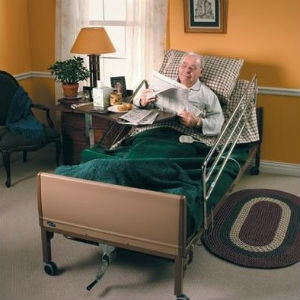 You can find all of your hospital bed accessories here too! Whether you’re looking for linens, bed-rails, therapeutic support surfaces or patient transfer options, Wallace Home Medical can help you with all of your in-home care needs.